Tim Rozon Married, Wife, Age, Height, Bio, Is He Gay? Home Actors Tim Rozon Married, Wife, Age, Height, Bio, Is He Gay? Tim Rozon first graced the screen in his career as an actor in the 2000 A&E television film titled The Great Gatsby. However, his big break came in 2004 with the main role in a CTV/TeenNick teen series. Aside from being a Canadian actor, Tim Rozon has also excelled in business and has a couple of restaurants to his credit. Being a success has also put him further into the limelight with several speculations about his personal life springing up every day. Here are some credible facts we were able to gather about the amazing actor. The Canadian actor was born and named Timothy James Rozon on June 4, 1976, in Montreal, Canada. The identity of his parents have remained unknown to date, likewise every other detail about his childhood and if he has any siblings. Also, there’s no information regarding his educational background and the institutions he attended, if he did go to school. However, we do know that he didn’t start acting as a child but waited until he was way into his twenties before hitting the spotlight. He may have been getting busy with some projects in the past but Tim Rozon took his first credit as an actor after playing a supporting role in the 2000 television film The Great Gatsby. From the year he debuted onscreen to 2003, he continued to play small roles in both films and TV shows including See Jane Date, Pure, Crimes of Fashion, Naked Josh, I Do (But I Don’t) and Fries With That. Finally, he got his big break in 2004 when he landed the main role of Tommy Quincy in the CTV/TeenNick teen drama Instant Star. He stayed on the show for four seasons, appearing in 52 episodes. When he finished with Instant Star in 2008, Tim played Tom in the mini-series Would Be Kings and also made appearances in films, as well as other TV shows. His next major role came in Schitt’s Creek where he played Mutt Schitt in 23 episodes. He has also been playing the main role of Doc Holliday in Wynonna Earp since 2016. His most recent projects can be traced to Lake Placid: Legacy and Beginner’s Luck, both in 2018. Tim Rozon has also tried out voice acting, most notable among them is The Legend of Sarila (2013) where he voiced the character of Putulik. Beyond his acting exploits, Tim has also done some production projects. He produced the documentary feature Shuckers which focused on oysters and the world around them. He is also a co-owner of two successful restaurants – Le Garde Manger and Le Bremner, in Old Port of Montreal. He teamed up with celebrity chef Chuck Hughes to pull this off and the business seems to be growing stronger. 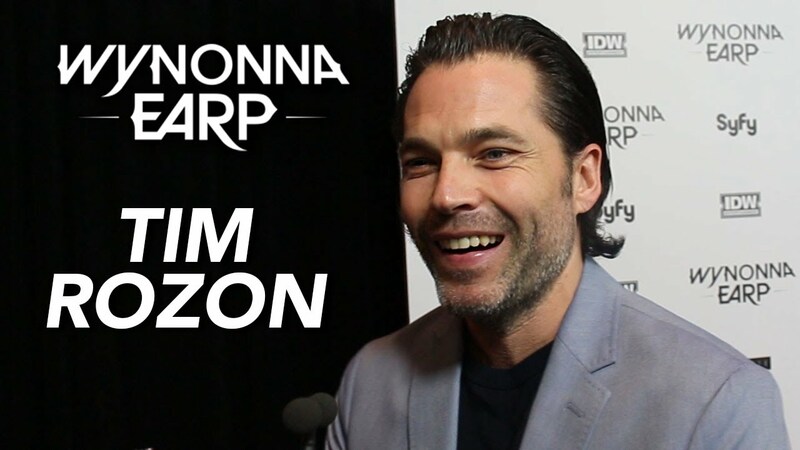 With all his endeavors in entertainment and business, there’s no gainsaying that Tim Rozon is swimming in an ocean of cash but his earnings and net worth have not been made public. Is Tim Rozon Gay Or Married To A Wife? Whenever Tim Rozon shares his raunchy photos on social media, the ladies drool all over him and the men wish they were gay. Speaking of his sexual orientation, the Canadian hunk has not given us any reason to believe he is gay as he has not been in any dalliance with a man or made any comment that might suggest he likes men. Besides, he was rumored to have dated fellow Canadian entertainer and co-star Alexz Johnson, although that relationship was never confirmed by the two. Apart from the foregoing, Tim has not been romantically linked to any other person and it is widely assumed that his busy schedule made it difficult for him to start a serious relationship. For what it’s worth, it appears Tim Rozon is still in the market for a life partner. There is no record of his wedding yet and it’s absolutely safe to say the handsome actor is single. Read Also: Oliver Stark Height, Age, Girlfriend, Wife, Is He Gay? Tim Rozon has all the qualities of the guy mothers warn their daughters about. He is a tall man who stands at 1.8m and sports a ripped body that makes sure his fans stick around. Tim used to model for a few brands in the past which goes to say he has great looks but his weight and other body measurements are not known.